Steven G. Leventhal, Partner in the Firm’s Philadelphia Office, has extensive experience in the areas of insurance defense and commercial litigation. 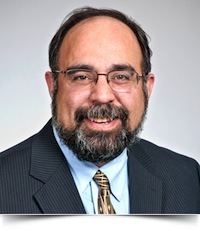 Mr. Leventhal is one of the firm’s more seasoned litigators with successful trial practice in the following types of cases: fire subrogation; auto; uninsured and underinsured motorist; products liability; premises liability; physical security contracts and the defense of class action law suits. He is often called upon to arbitrate first party insurance claims and has been sitting as a neutral arbitrator for the last two decades in the Philadelphia Court of Common Pleas. For the past ten years, Mr. Leventhal has taught a master's degree level course in practical business law as an adjunct professor at Temple University's School of Hospitality & Tourism. He has also toured the state lecturing to bar associations on the topic of the "Magic of Advocacy." Author, A Pro-Active Examination Of Pennsylvania’s Subsequent Remedial Measures Rule for Today’s Savvy Claims Professional. Reger Rizzo & Darnall Client Alert.